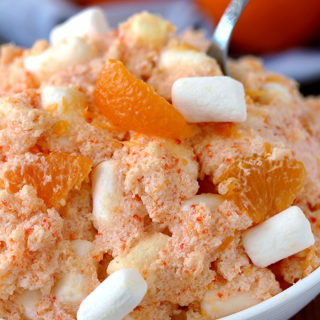 Time passes so quickly, it seems like yesterday when I was preparing Christmas treats and now Easter is coming. We are all looking forward to it. My son especially likes eggs painting, my husband enjoys family time and I enjoy preparing and decorating Easter cookies. Our favorite treat is Easter Shortbread Cookies. 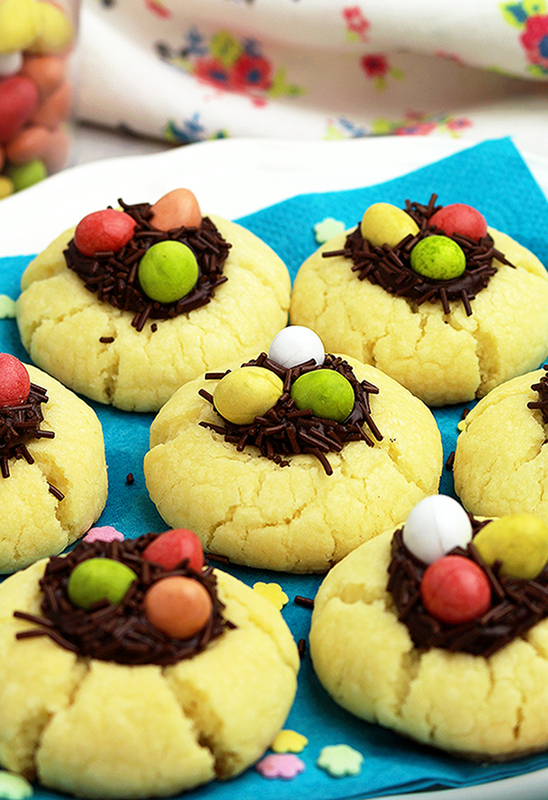 Easter Shortbread Cookies are so easy to make. You need a few ingredients, a little free time and of course, good spirits to make these delicious cookies. 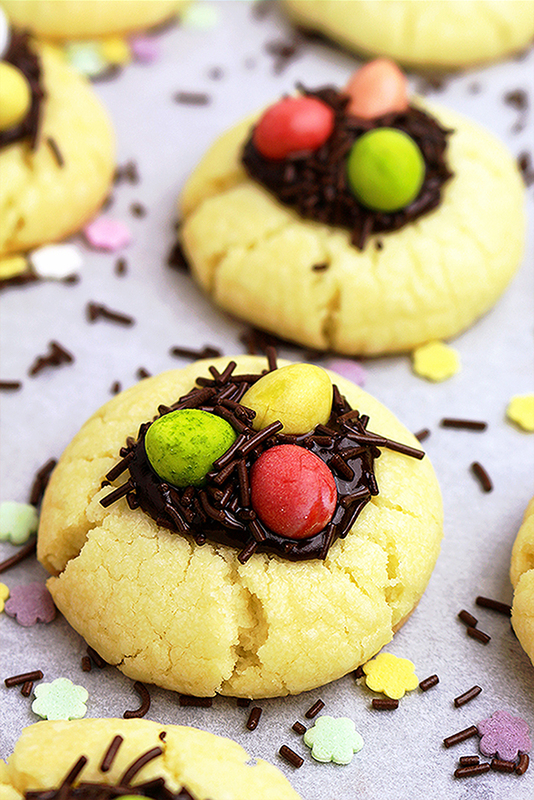 Easter Shortbread Cookies melt in your mouth. They are so easy and yet so effective. They are made with chocolate and that makes my son very happy. He loves these cookies, especially Easter candy eggs on them. 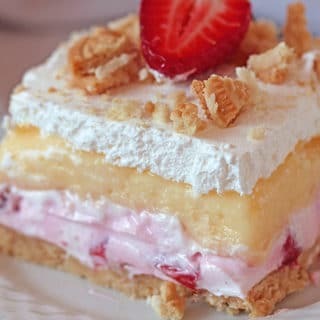 In a large dish, mix softened butter, powdered sugar and vanilla with an electric mixer on medium speed, until it becomes light and fluffy. Add salt, all purpose flour and cornstarch and mix some more until well combined. Make 1, 5 inch balls and put them in the baking sheet. The balls should be around 2 inches apart. Put them in the oven and after 8 minutes take them out and make small dents in the cookies, using solid, round object ( I used ½ tablespoon as a measure), so that they look like nests. Be quick and return the cookies in the oven. Bake for 4-6 more minutes. Leave them to cool in the baking sheet and then move to a wire rack. Meanwhile, melt chocolate with heavy cream and oil. Stir well. Pour melted chocolate into each cookie dent, filling around ⅓ tablespoon. 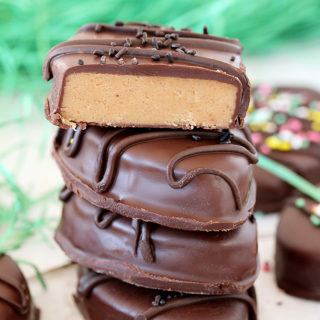 Decorate with chocolate sprinkles and Easter candy eggs. 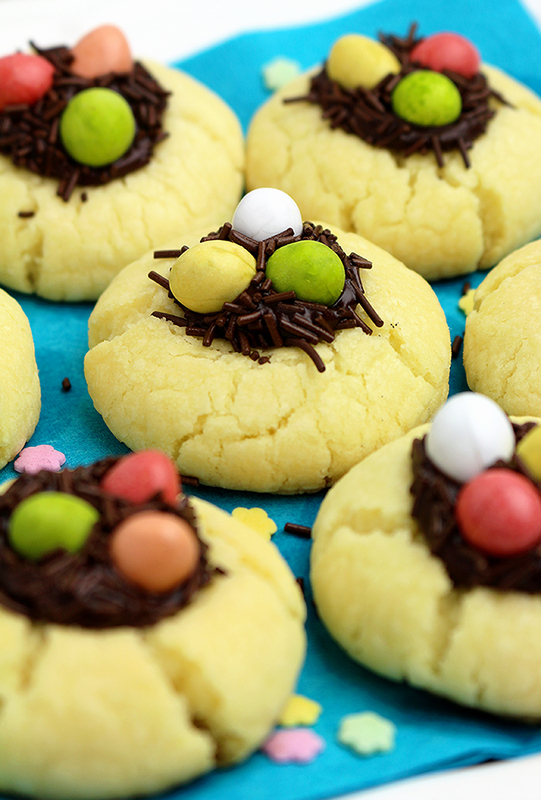 These Easter Shortbread Cookies look delicious! And, wouldn’t they be great to make for grandchildren! 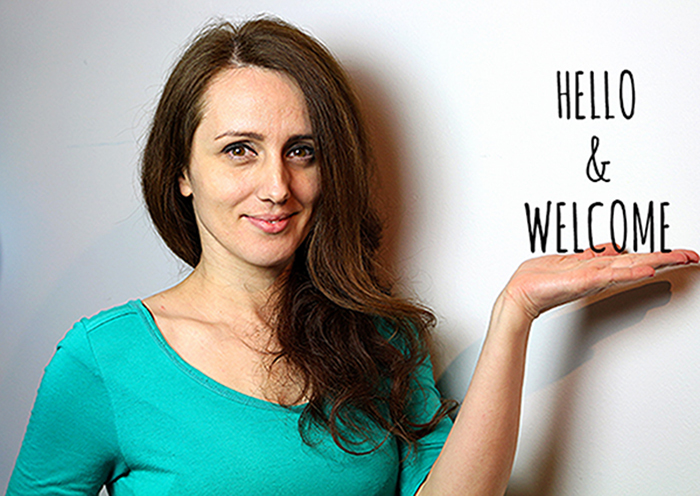 I’m sharing on Facebook! Wow!!! I’ll have to try this recipe! Will make then for Easter too! ? Yes they fit perfectly! However if you get one that has been dipped I would advise you not place it in a tighter fitting cup holder as I chipped my dipped one that way. Thanks for the advice, Dean.